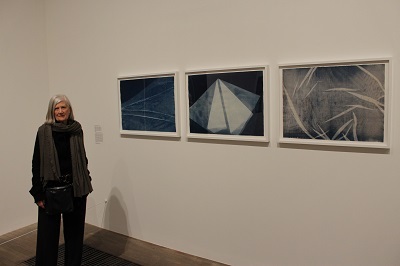 A major new exhibition at Tate Modern reveals the intertwined stories of photography and abstract art. 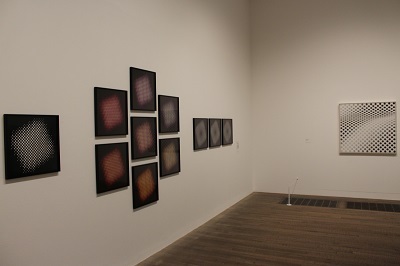 The exhibition entitled Shape of Light: 100 Years of Photography and Abstract Art will be the first show of this scale to explore photography in relation to the development of abstraction, from the early experiments of the 1910s to the digital innovations of the 21st century. 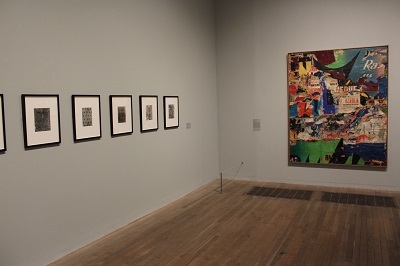 Featuring over 300 works by more than 100 artists, the exhibition explores the history of abstract photography side-by-side with iconic paintings and sculptures. 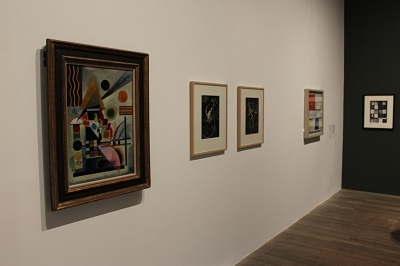 The first room sets the theme for the exhibition with paintings by Mondrian, Braques and Kadinsky paired with Alvin Langdon Coburn’s pioneering ‘vortographs’ from 1917. 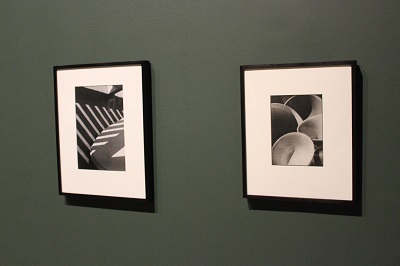 At the beginning of the 20th century, a number of photographers including Edward Steichen, Alfred Stieglitz and Paul Strand began to look closely at the ability of photography to show different elements of abstraction and began looking at familiar items in a variety of ways. The exhibition features a number of works by these artists and others that spanned diverse media like László Moholy-Nagy and Man Ray. 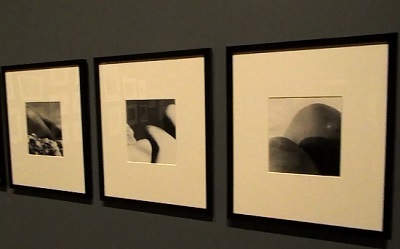 It was not just inanimate objects that attracted artists, some began to create abstractions from the human body including André Kertesz’s Distorsions, Imogen Cunningham’s Triangles and Bill Brandt’s Baie des Anges, Frances 1958. Photographers began to play with light to produce a number of interesting effects, the exhibition pairs the abstract expressionism of Jackson Pollock and Otto Steinert’s ‘luminograms’. 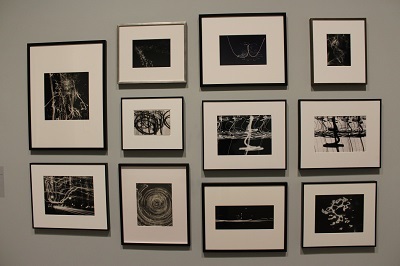 The exhibition acknowledges the impact of MoMA’s landmark photography exhibition of 1960, The Sense of Abstraction for raising the profile of this type of photography and some installation photographs of this show are displayed with some of the works originally featured in the exhibition, including important works by Edward Weston, Aaron Siskind and a series by Man Ray that has not been exhibited since the MoMA show, 58 years ago. 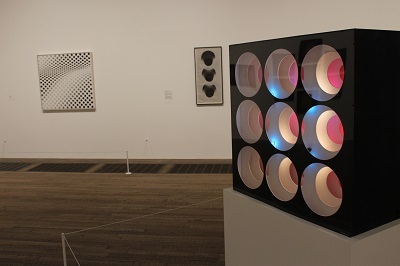 Some artists in the 1960’s began to use the various effects of abstraction to create optical effects, the exhibition pairs work by Bridget Riley and installations of key photographic works from the era by artists including Floris Neussis and Gottfried Jaeger. 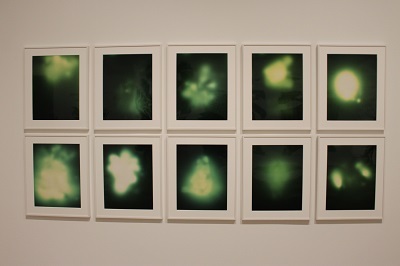 Much of this early worked was dominated by black and white photography, however by the 1970s, colour was being used increasingly especially from artists like Barbara Kasten with her Photogenic Painting and Sigmar Polke with Untitled (Uranium Green) in the 1990s. The final room brings visitors up to date with contemporary abstraction artists like Thomas Ruff, Maya Rochat and Daisuke Yokota. 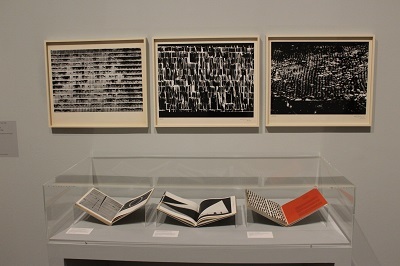 This intriguing exhibition explores how the birth of abstract art and the invention of photography created a new modern visual culture which was often marginalised for most of the 20th century but gradually became more popular and respected for the innovation and originality of artists and photographers. It is difficult to know what was the interaction and influence of abstract art and abstract photography on each other, however they did create a genre where artists and photographers began to push back the boundaries of contemporary art. 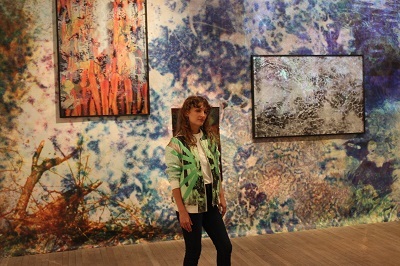 By londonvisitors2014 in Exhibitions on April 30, 2018 .